John "Butch" Douglas McDaniel, Jr.
John Douglas McDaniel, Jr was born to Elaine and John D. McDaniel, Sr on January 20, 1970. The first of three children, John Jr – “Butch”, as he was fondly known to family and friends – grew up in University Place, Washington. After the untimely passing of their mother Elaine, the family welcomed the loving embrace of their stepmother Frances into their lives. Butch is survived by his children: Adonte, Tashara, Mizani, Jasia and Tyjion; his parents John and Frances; his siblings Kim and Kelvin; his loving fiancé Kim Henley; as well as a host of cousins, aunts, uncles and numerous loving friends. Butch graduated from Curtis High School in 1988 where he was also a standout basketball player. In addition, he attended Langston University in Oklahoma. He eventually found his calling in the field of IT administration, working for well-known companies such as Microsoft, American Fast Freight and others. 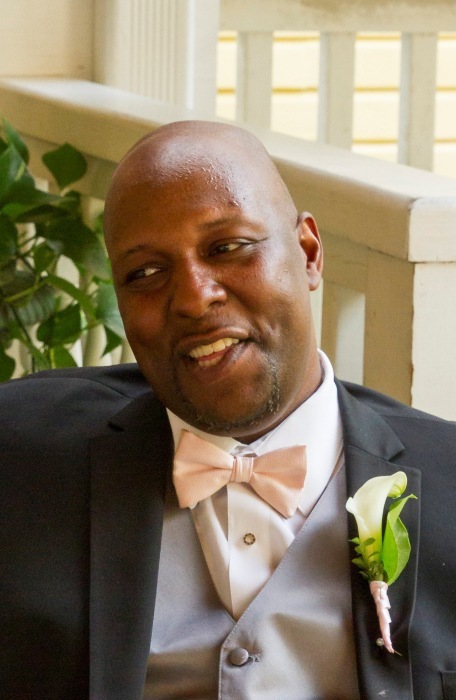 Most recently he was a Systems Administrator at PACCAR, Inc.
John was strong-willed and opinionated, with a great fondness for arguing his various points. Time spent with him was always a lively event; he was truly the life of the party: Energetic, with a contagious laugh and a rowdy sense of humor. You could always count on John to liven things up when he hit the scene. He was a supportive friend; if you were in need – and if he had it to give – you could count on his aid. Regardless of any obstacle he faced he always found a way to get back up, dust himself off and “get back at it!” He enjoyed a challenge and challenging others, especially those he believed in. Butch was a devout Seahawks fan. John always was passionate about music and its creation, considering himself somewhat of an “expert” on all things Hip Hop and R & B. After its initial conception, a previous business idea he had evolved into what is now MusiKKast Publishing, for the purpose of showcasing the talents of family others close to them. It has already born fruit by aiding a few Hip hop artists in furthering their dreams. Even now, the MusiKKast mission is in progress as its artists continue to build that dream to a full fledge reality. John has been an instrumental part of many people lives. His legacy will live on through his children, family and all those he has touched in a positive way. He will be loved and missed, always.